Home Uncategorized Parents’ Night Out October 17! Parents’ Night Out October 17! 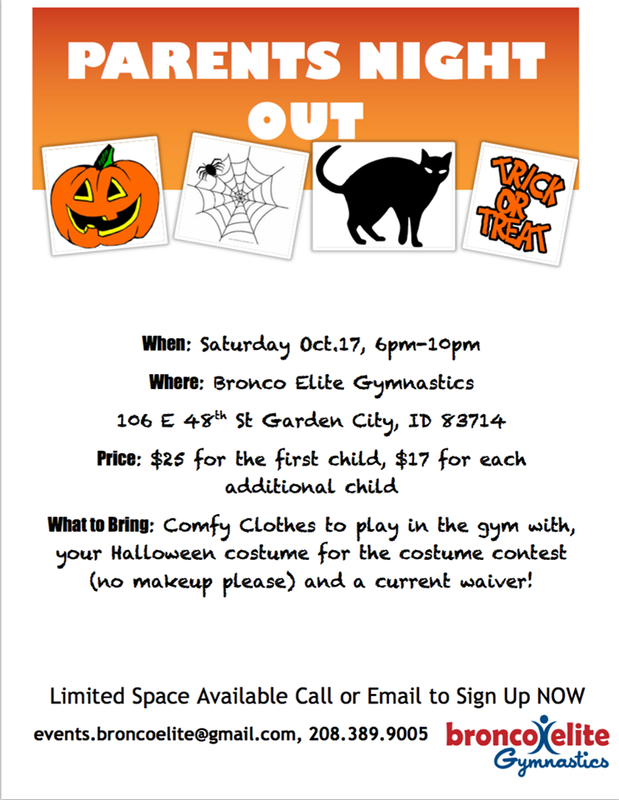 Bronco Elite will be hosting a Parents Night Out. We know how hard you work for your children so we want to give you the opportunity to have a night out and know your child will have lots of fun, while being well taken care of. This month’s Parents Night Out will be Halloween Party themed. We will have Open Gym, Pizza, a Costume Contest, and a Halloween Movie or Cra ft. There is LIMITED SPACE AVAILABLE, so register now. Please call the front office or email events.broncoelite@gmail.com to get signed up. We hope to see your little ghosts and goblins there. 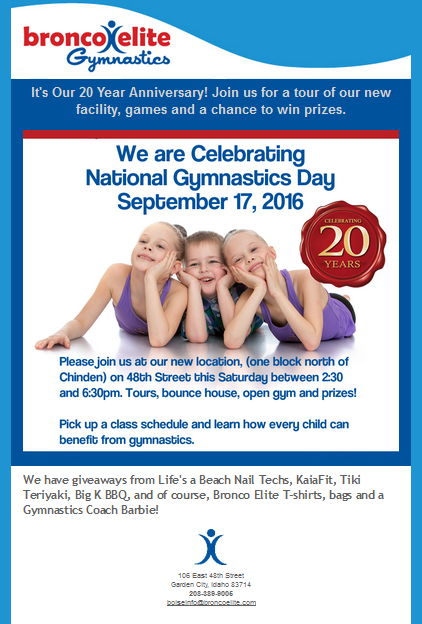 You are Invited to our Grand Re-Opening!